The incidents were found through a combination of “intense Googling”, referencing various news outlets, such as KrebsOnSecurity and ThreatPost, and several breach databases including the VCDB VERIS Community Database, Databreaches.net, and the OSF DataLossDB. Looking at the data provided some interesting talking points. This is not the complete list of PoS breaches to date. According to the 2014 Verizon Data Breach Investigations Report (DBIR), 198 total incidents were reported related to PoS intrusions. Unfortunately for us, Verizon doesn’t name victims in the report nor do they divulge client-specific information on any breaches handled by any of the DBIR contributors. 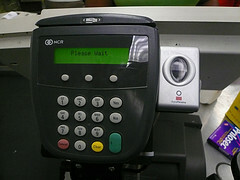 The DBIR team did, however, report that RAM scrapers have passed keyloggers as the most common malware associated with POS intrusions and that compromises take seconds or minutes (87 percent combined) to happen in POS attacks – with exfiltration happening within minutes of a compromise in 88 percent of breaches. Attackers, meanwhile, have free reign for weeks, in 85 percent of breaches before they are discovered. We plan on treating this breach timeline as a living document. As such, if you have any additions or corrections, please let us know ASAP and we’ll update the data. Also, if you think a breach-to-variant comparison for the malware employed in each case would be of value, please drop us a line.